The Live PD TV show has been ordered to series by A&E. The show is hosted by ABC‘s Dan Abrams with Dallas Police Department Detectives Rich Emberlin and Kevin Jackson. The first season consists of eight two-hour episodes features footage of police departments from across the US, captured by dashboard cameras, fixed rigs, and hand-held cameras. David Doss is set as show runner. Live PD season one premieres on A&E, Friday, October 28, 2016 at 9:00pm ET/PT. New York, NY – October 3, 2016 – A&E has led the cultural conversation with Emmy-winning documentary programming that shines a light on the most pressing issues facing the country today, like “Intervention” and “Born This Way.” Now, as the debate over the policing of America continues to be a part of the daily conversation across the nation, A&E will offer viewers unfettered and unfiltered live access inside the country’s busiest police forces and the communities they patrol in the new documentary series “Live PD.” The network has ordered eight, two-hour episodes. “Live PD” is produced for A&E Network by Big Fish Entertainment. The announcement was made today by Rob Sharenow, Executive Vice President and General Manager of A&E and Lifetime. “Live PD” premieres Friday, October 28 at 9pm ET/PT. Over the course of eight weeks, dash cams along with fixed rig and handheld cameras, will capture the work of a varied mix of urban and rural police forces around the country on a typical Friday night. In-studio host, ABC’s Dan Abrams, alongside Dallas Police Department Detectives Rich Emberlin and Kevin Jackson will guide viewers through the night, giving insight to what audiences are seeing in real time, bouncing minute-by-minute between the featured police departments and offering an inside look at each live incident. David Doss, former news executive producer at CNN, ABC and NBC, will serve as show runner for the series. 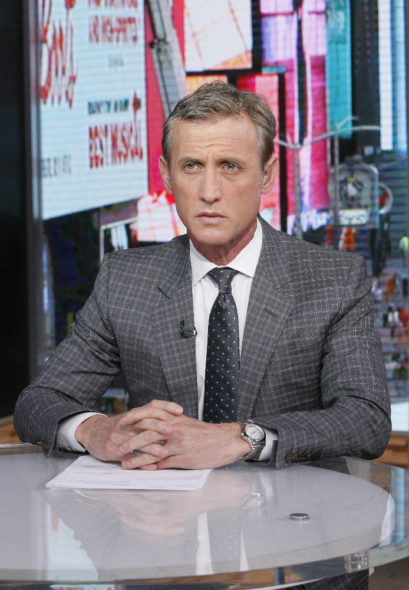 Journalist Dan Abrams brings over 20 years of reporting and anchoring to the table and currently serves as the Chief Legal Analyst for ABC News. Detectives Kevin Jackson and Rich Emberlin have been partners for over two decades, having worked together in Patrol, SWAT, Criminal Intelligence, and Dignitary Protection Squad for Dallas PD. “Live PD” will go beyond the linear experience. A live social media component will take audiences behind the scenes of the “Live PD” studio to pull back the curtain of the groundbreaking series. As with many live events, due to the potential of capturing intense and possibly disturbing content, the program will air on a delay. A&E leads the cultural conversation through high-quality, thought provoking original programming with a unique point of view. Whether it’s the network’s distinctive brand of award-winning disruptive reality, groundbreaking documentary, or premium scripted drama, A&E always makes entertainment an art. The A&E website is located at aetv.com. Follow us on Twitter at twitter.com/aetv and Facebook at facebook.com/AETV. What do you think? Do you like the sound of the Live PD TV series? Will you check out the premiere on A&E? More about: A&E TV shows: canceled or renewed?, Live PD, Live PD: canceled or renewed? Live-PD is the best COP show on TV. Dan Abrams is the best narrating of this show. Please keep this show running so we the people can see what goes on in the country. Thank you to all the brave men and women for keeping the bad people off our streets. The show is the greatest-Dan Abrams is good at narrating the show. Please keep this show on! Would someone please buy Deputy Kevin Lawrence LARGE size gloves that would fit his hands so he could perform the necessary auto searches. I both laugh and cry watching him try to put on ill fitting gloves. Love the show! Please continue the series through the Summer, and renew for next year!